Brain and spinal cord injuries can impair you or a loved one, both physically and financially. 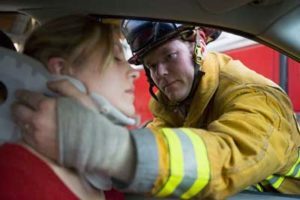 If you’ve suffered because of another person or company’s negligence, then you need Attorney Dean Phillips to help you obtain the compensation that you deserve. Conditions arising from spinal cord injuries aren’t always immediate and may take time to manifest. Getting treatment as soon as possible could reduce complications and potentially shorten your recovery time. What Can Happen after a Spinal Cord Injury? The injuries sustained from damage to the spinal cord can have lasting financial impact, too. Brain injuries usually range from mild to severe, but all require medical attention as soon as possible. Some of these symptoms may fade over time, but many of them can be permanent. If another party caused your injury, then you need a personal injury lawyer who can ensure that the wrongdoer is accountable for your loss. Attorney Dean Phillips is an experienced negotiator and willing fighter for you so that you can obtain damages to pay for your medical bills, lost wages, or funeral expenses. He will determine the financial burden of living with a spinal cord or brain injury over the span of your life. Mr. Phillips represents people with brain and spinal cord injuries in Marietta, Cobb County, Paulding County, Bartow County, Acworth, Austell, Powder Springs, Smyrna, Kennesaw and Woodstock. For a free consultation on your personal injury case, call 770-415-0933.